The Feeling of Transquility and the disire to visit again won't leave you! Delicious breakfast and cuisine served in the dining room or under a thatched roof. Ficksburg Country Cottage has received a 2018 Best Value Establishment Award from Afristay. 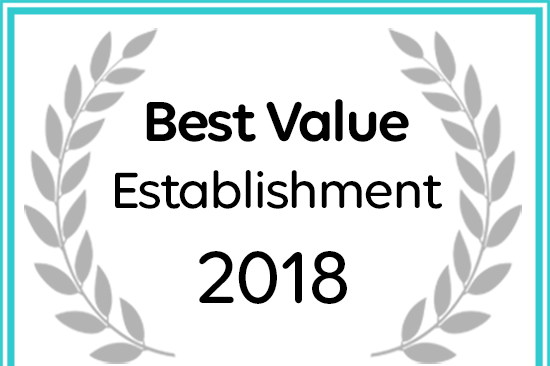 Ficksburg Country Cottage has been named a 2018 Best Value Establishment! Ficksburg Country Cottage is a bed and breakfast or self-catering homestay with 5 rooms. A true haven of serenity, guests are assured of outstanding hospitality and personal service. Managed by Owner .We offer comfortable en suite rooms and secure parking. There are 3 private rooms away from the house. All the rooms have outside entries. We have an entertainment room with built in braai and kitchen for self-catering. Venue can also be used for small functions and conferences; accommodating about 20 guests. Size: 8m x 6m. 52inch flat plasma screen TV with USB port. 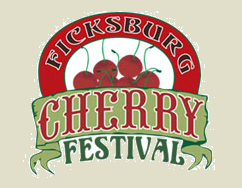 Ficksburg is the Cherry Capital of the World and our annual Cherry- and Jazz Festivals are in November. These events cannot be missed. Ficksburg is also the Gateway to Lesotho. 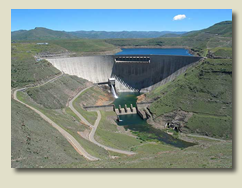 Ficksburg is situated right on the border of Lesotho. 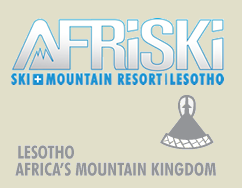 A trip to the Katse Dam, Afri -Ski and many more attractions are a must. Ficksburg is also known for its Steam Locomotives and attract tourists from all over the world. This event is in April. Please contact your friendly hostess Susan Kotze at 082 562 8476 for a booking. Your friendly hosts are Susan and C.M. Kotze.